Now that your child is walking they will use their hands to touch, hold and carry...almost everything within reach! They are now highly mobile and active. Providing opportunities for your child to move and explore independently, but within a safe space will support their healthy development. A low bed is simply a shallow (11cms) single mattress or futon placed on the floor. It provides a place where your baby can see the world without the obstruction created by the bars of a cot. Using a low bed means that your child can move freely and get up and put themselves to sleep when their natural rhythm tells them to do so. All toys have a developmental purpose. If you watch your child for information about the areas of development they are working on, this will give you information about which toys might engage them. Toys that isolate a single area of development e.g. 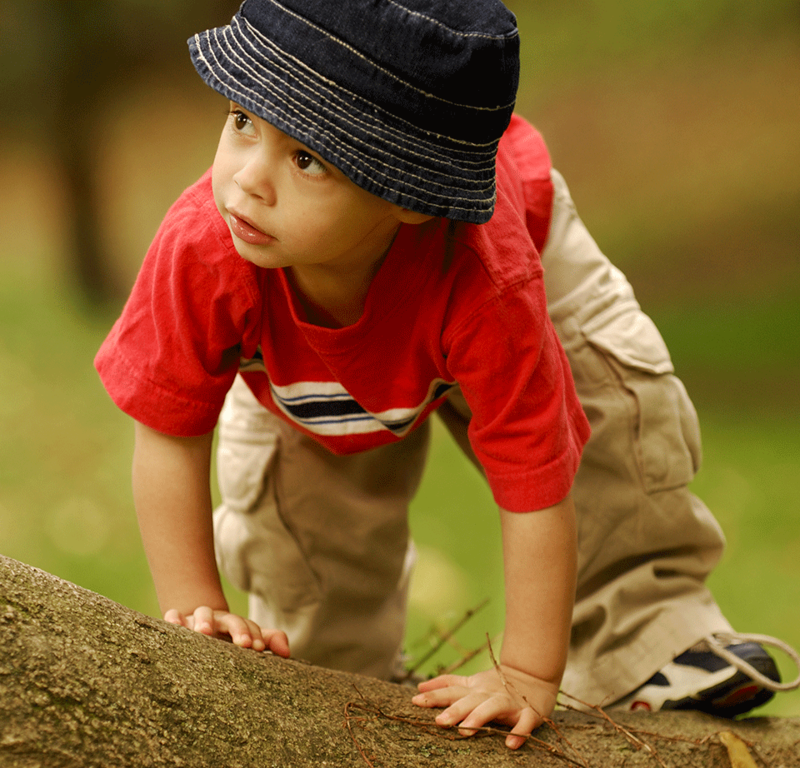 eye-to-hand coordination, tend to hold a child's focus for longer. Then once your child has made that developmental acquisition they will want to move onto something else! Sometimes the toy your child needs, is not that attractive to us as an adult. This can work the other way around as well. Something that we think looks incredible, may simply be sensorially overwhelming and fail to engage them. Placing a few of your child's toys and books on a low shelf near their Low Bed, will mean that they can begin play as soon as they wake up. Restricting the number of items on each shelf to 2 or 3 will reduce confusion or distraction and make it easier for your child to maintain order. Toys made from natural materials will provide your child with a more rich sensory experience than plastic items. Musical boxes are also wonderful toys at this stage of your chid's development. If you are able to find one which can be started by your child, they will be able to give themselves the experience.